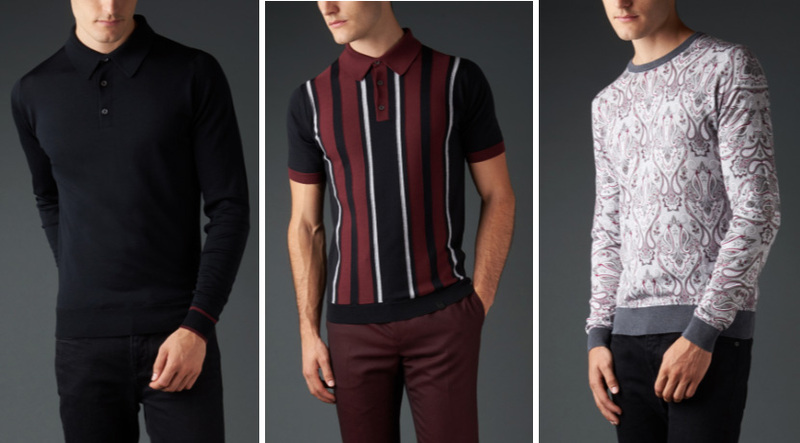 This season we continue our collaboration with John Smedley producing a limited edition collection of fine quality knitwear for Autumn Winter ‘17 in a colour palette of Burgundy, Black and Grey. 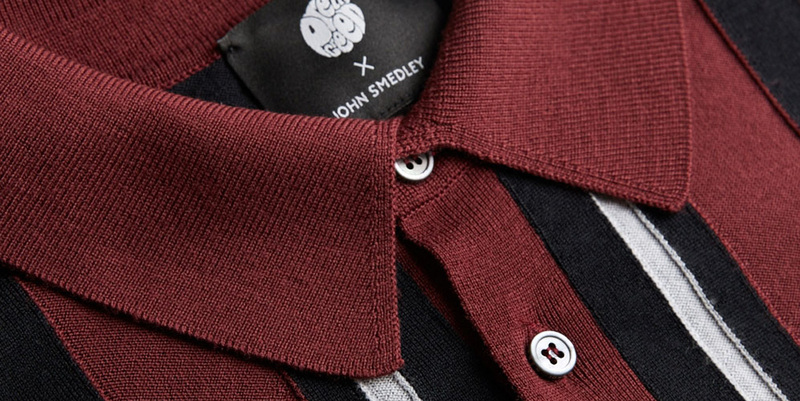 There are a total of three limited edition styles in the Pretty Green x John Smedley collection. 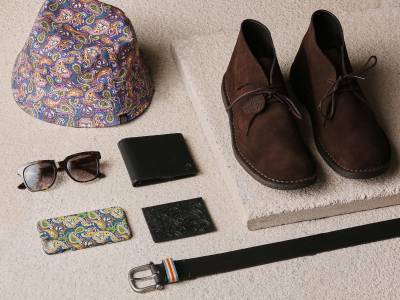 This includes two merino plain knitted polo shirts, two merino striped knitted polo shirts and a cotton knitted jumper in our signature Pretty Green paisley. 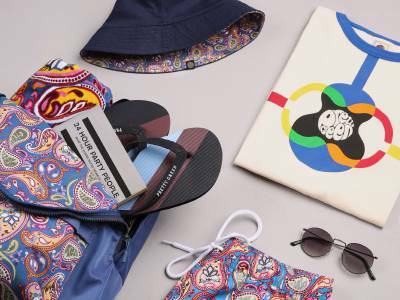 All pieces have been manufactured in Britain and made from 100% extra fine cotton. John Smedley is renowned throughout the world as a leader in the production of fine gauge British knitwear products since 1784.